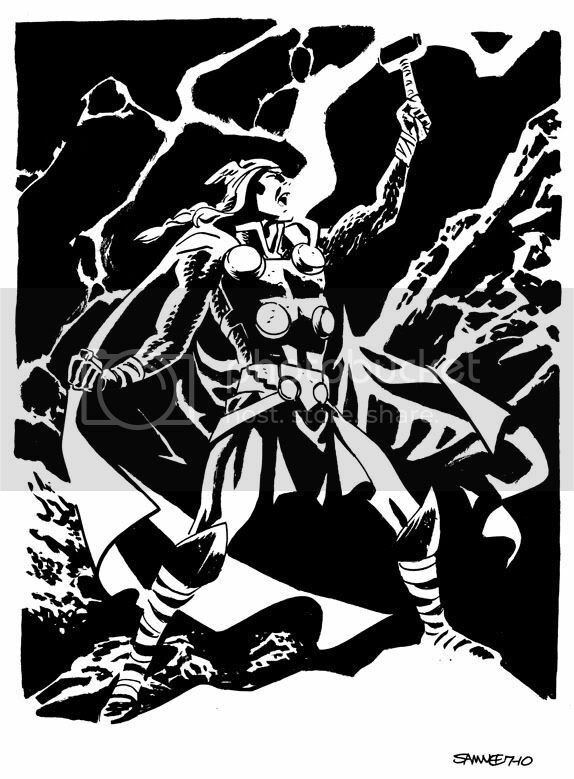 Chris Samnee: THOR WEEK: Thor! To celebrate Thor: The Mighty Avenger's release this week (in comic shops on Thursday, or er Thorsday), I've declared it THOR WEEK on this here blog! Today we have the Mighty Avenger himself! I absolutely love your Thor! just did my own rendition for my Sketch-A-Day blog based on your new costume. Great Stuff.